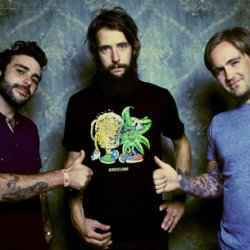 Band of Horses – ShoreTV New Jersey – Watch It, Live It, Love It. For over a year now, indie rock band Band of Horses has been experiencing huge popularity thanks to three hit albums and popular tour dates. Led by the haunting vocals and emotional songwriting of guitarist Ben Bridwell, Band of Horses is putting their unique spin on indie music marked by subtle synth and keyboards. Band of Horses’ latest album, Infinite Arms, has continued the band’s rise to fame and sparked numerous tour dates in 2011; including those in support of Kings of Leon this summer.